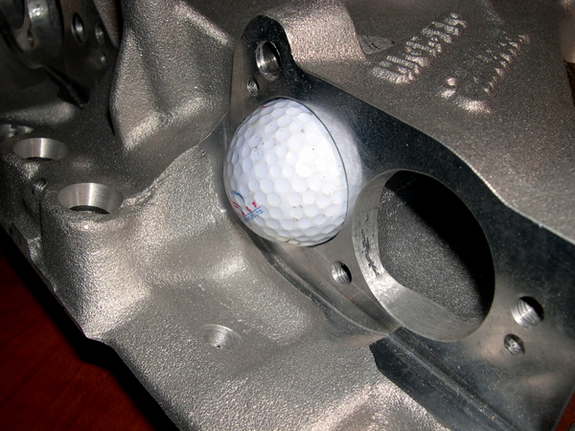 GrumpysPerformance.com • View topic - just how restrictive are the stock TPI engine components? 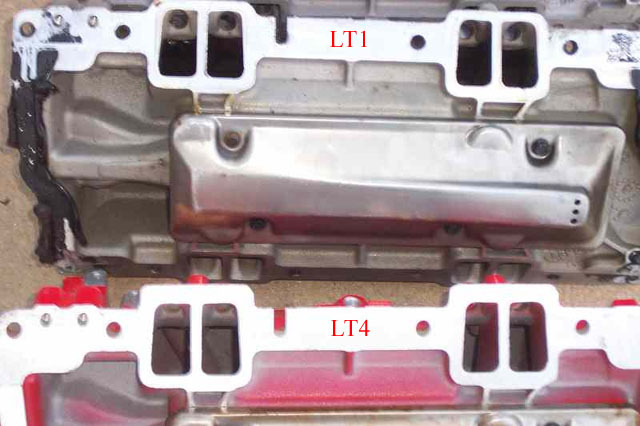 it should open your eyes, the stock TPI runner is optomised for 3400rpm on a 350, with its 1.7 sq inch cross section,swap to, for example the larger FIRST TPI, it jumps to 4800rpm, with its un ported 2.4 sq inch cross section, that alone is worth almost 100 hp is both engines made the same peak 400 ft lbs of torque at there optimum rpm peaks, but your likely to find the larger ports more efficient. when you combine head flow with intake flow in most cases those measurements were done on the individual components on a flow bench, if the heads flow 200cfm at .500 lift and the intake flows 190cfm that in no way indicates that you'll reach similar numbers with all the components bolted together. 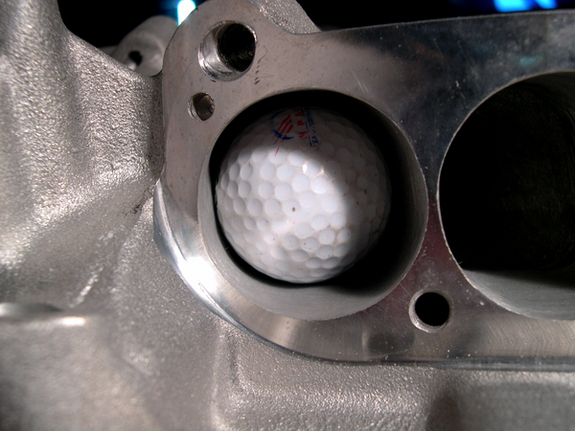 remember your valve is only at full lift (AND THAT'S WELL UNDER .500 with a stock cam) for a very few degrees in the 720 degree repeat cycle, so your very unlikely to even approach those flow numbers, with the stock cam that has about a 195 intake duration, at .050 lift, that's about 27% of the total cycle even if the cam was INSTANTLY fully open and held open for the full 27% of the time, but the truth is its open for a great deal less time at peak flow. 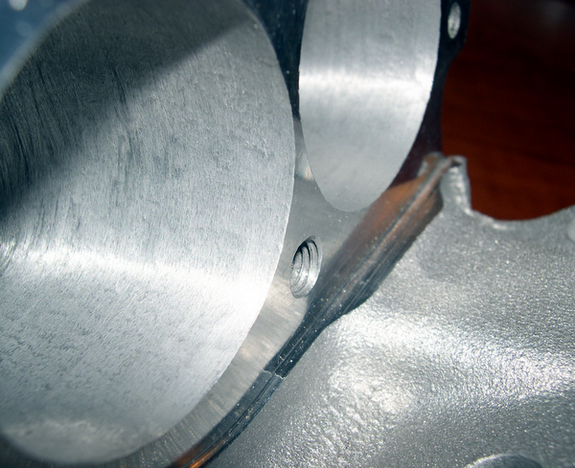 the stock TPI head flow is in the 190cfm-200cfm range, that matches the stock head flow rates,and the stock cam lift. 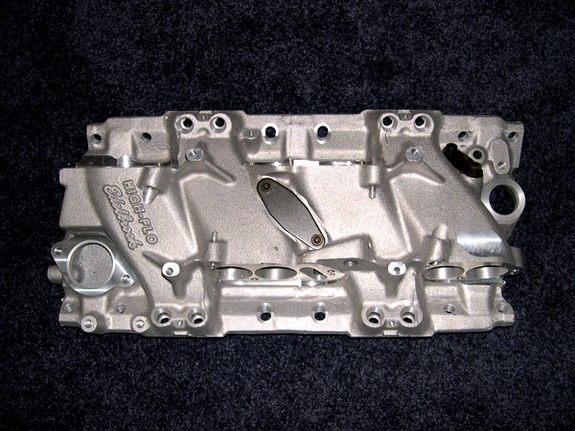 read thru the posted links theres a good deal of useful info, but keep in mind its a balanced system your after designed to operate in a known rpm range and displacement, its almost always better to increase flow rates and engine displacement, but most components must match, a killer cam designed to operate at 6700rpm won,t work well with heads that effectively become a restriction at 5500rpm, an intake designed to maximize power at 5500rpm should be matched to a cam and heads designed for a similar rpm band and a drive train designed or allow the engine to opperate in that same rpm band 90% of the time. larger displacements, higher compression ratios and carefully matched components can produce an engine that has impressive torque, excellent durrability and a car thats fun to drive at BOTH the track and on the street! peak horsepowers nice for bragging but having instantly available massive torque in your cars intended rpm band, matching your trans and gear ratios, is far nicer on the street, and almost as fast or just as fast on the track. keep in mind your cars drive train ,trans stall speed and rear gearing must match the power curve. 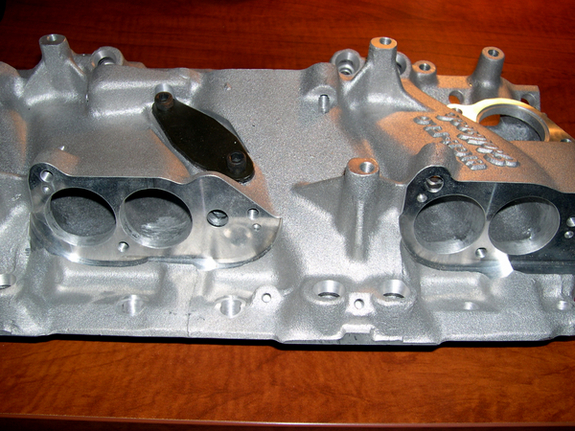 Ive tested a bunch of IMPROVE TPI REPLACEMENT style intakes on my cars, one of the best is the ported HOLLEY STEALTH RAM, but theres CLEARANCE ISSUES on some cars as its 10" tall and a corvette for example has only 9" of hood clearance so a CUSTOM PLENUM or a HOOD SCOOP is MANDATORY TO RUN ONE on a corvette for example ! 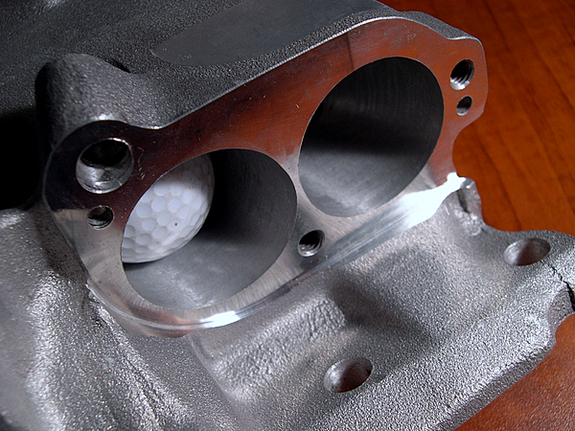 IF your keeping the stock heads and cam , or even just the stock heads and a decent upgraded cam you'll want to keep the basic engine configuration similar to the TPI, in the rpm range and power curve configuration, but you want to add flow to boost the hp, the SUPER RAM, or the FIRST TPI, but keep in mind the results you see won,t reflect the intakes true potential without better heads and a cam with more duration that will allow the heads, intake and cam to flow the necessary air to produce significantly higher power levels. 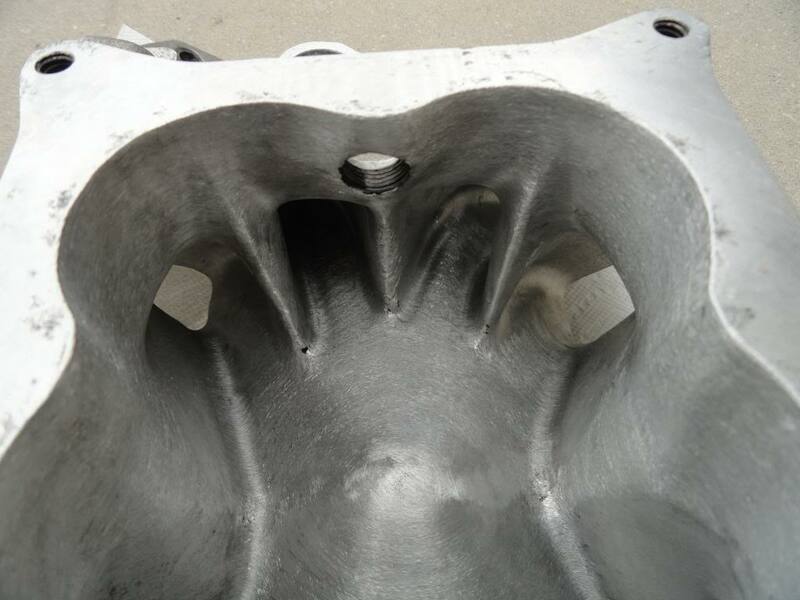 both those intakes are designed to maximize torque in about the 1800rpm-5800rpm band(depends on porting, heads,displacement, compression, head flow, exhaust scavenging etc. the mini-ram and stealth ram are both designed to operate a a noticably higher rpm band (about the 3500rpm-6700rpm band) so better heads and higher (3.54:1-3.73:1)rear gear ratios, larger durration cams (usually in the 220-min-to at least 239-245 dur max at .050 lift) range and higher compression ratios become almost mandatory if you want to maximize those intake manifolds potential. Here's some flow figures, right off the manufactures sites in many cases. Keep in mind the concept of the chains weakest link. It does ABSOLUTELY no good to match a base or runners on a TPI intake that flows 250cfm if the other part flows 200cfm. You'll still only flow 200cfm. The HOLLEY STEALTH RAM FLOWS at 275cfm out of the box,(minor port clean-up work) and can easily reach 300cfm with minor port work. The stock TPI has a hard time flowing 230cfm even with minor port work. Look here. Most of this info is right off the Accel, Holley, Edelbrock, and TPIS sites. Add a little math and the results become much clearer!!! Now playing with the figure in the calculators below, what you'll find is that if your using a 350 size engine as a guide, the tpi runner length is ideal for peak tq 3427rpm and 2700-4000rpm for peak hp. The Accel Super Ram is ideal for peak tq at 4032rpm and 3300rpm-4800rpm for peak hp. 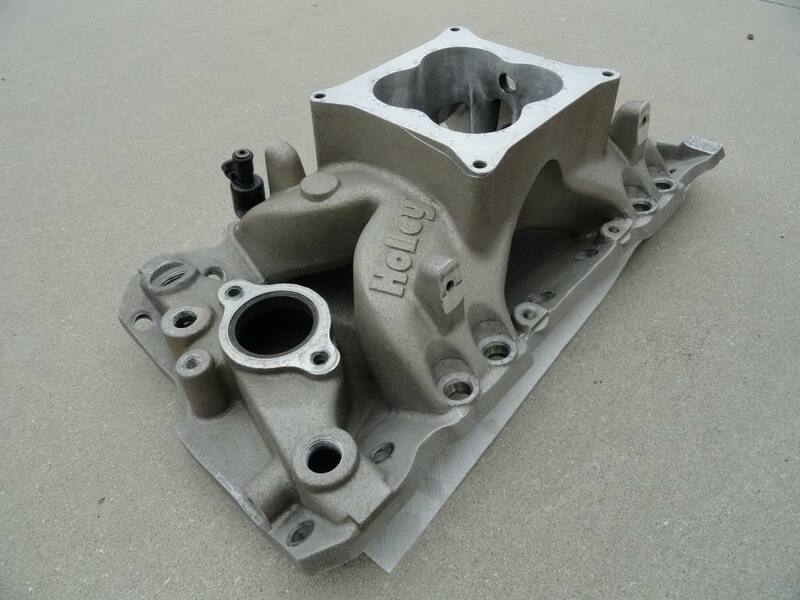 Holley's Stealth Ram runner length is ideal at 4700 for peak tq and 5618rpm to 6282rpm for peak hp. 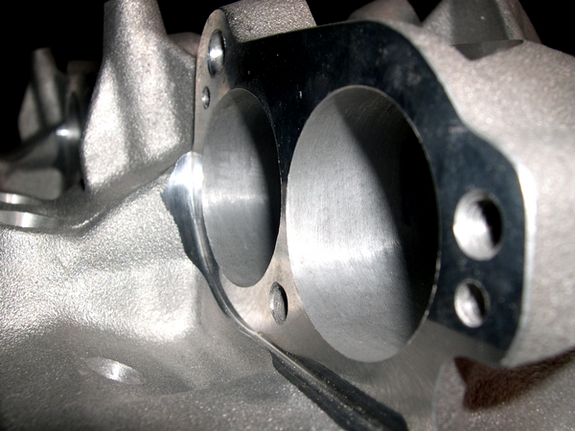 The TPIS Mini Ram and LT1 intakes are ideal for peak tq at about 5200rpm and 7244rpm to 8101rpm for peak hp. bytor wrote: Came across this info while doing some research and thought I'd share. Also interesting TPI mods. Not so sure I agree with the one on bumping up the initial timing. 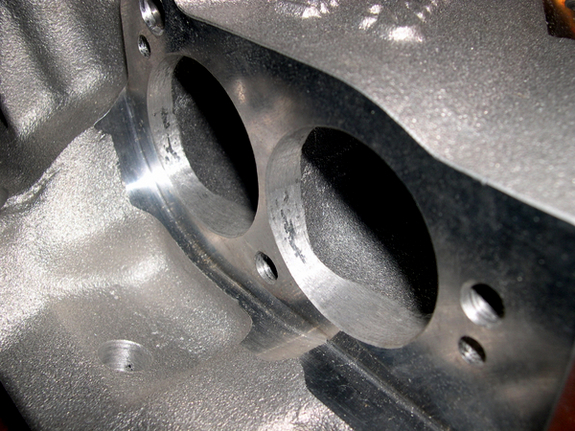 The intake ports on the STEALTHRAM as it comes from HOLLEY. 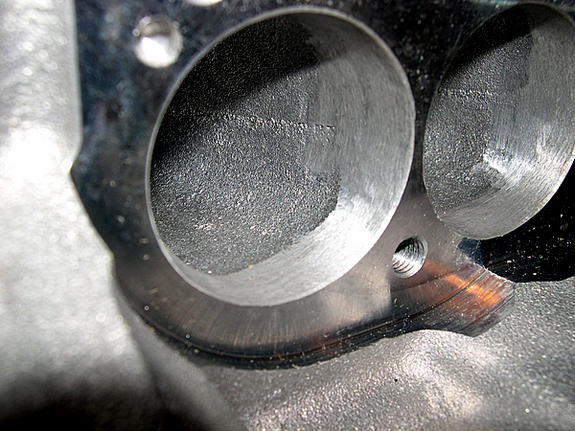 It fits the Felpro #1205 gasket port size. increasing power is in large part the result of increasing the amount of air/fuel mix you can efficiently pack into and burn in the cylinders and the number of power strokes per second that the engine can produce in its effective power range. 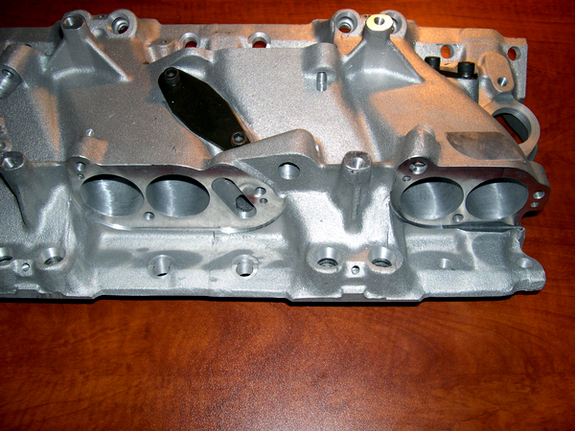 the one major factor most of you are ignoring is that all the intake manifolds are designed to operate at different rpm ranges , and REQUIRE a cam and cylinder heads that will flow the MATCHING CFM FLOW RATES and in the intended RPM BAND , and obviously the engines displacement, and compression ratio must be compatible with the cam timing and lift and if the compression and cam used does not exactly match the intakes rpm range the intake will produce far lower numbers! 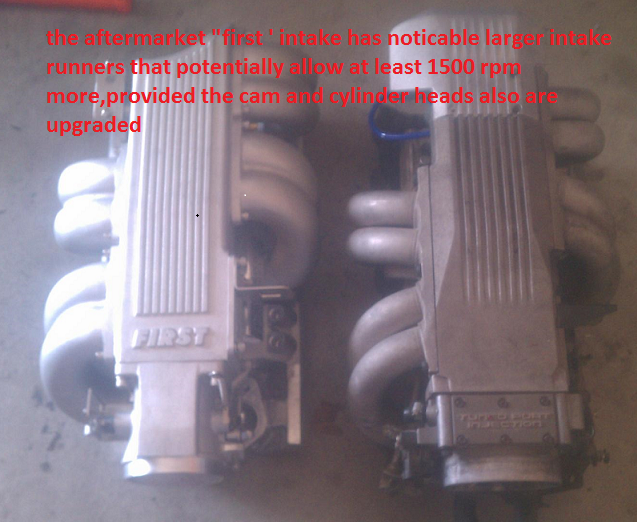 my PORTED STEALTH RAM produced far better power with both a CRANE 119661 and CROWER 00471 than with cams that worked correctly with the PORTED TPI with high flow runners, because the HSR is designed to operate at a HIGHER AVERAGE RPM BAND than the stock type TPI design intake. 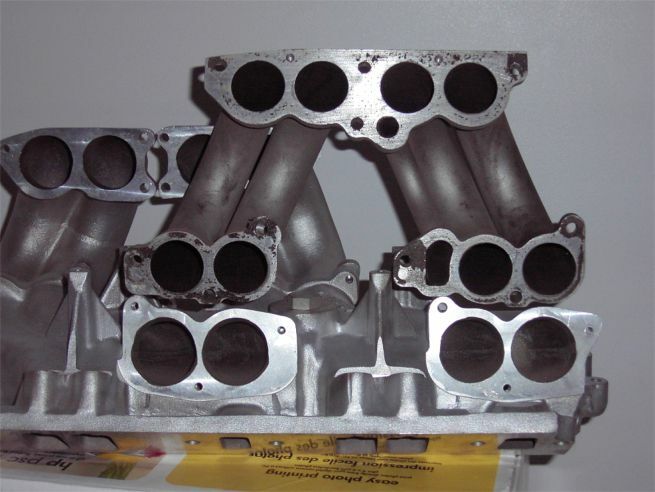 the one major factor most of you are ignoring is that all the intake manifolds are designed to operate at different rpm ranges and if the compression ratio fails to be correctly matched to the cam and if the cam used does not exactly match the intakes rpm range the intake will produce far lower numbers! 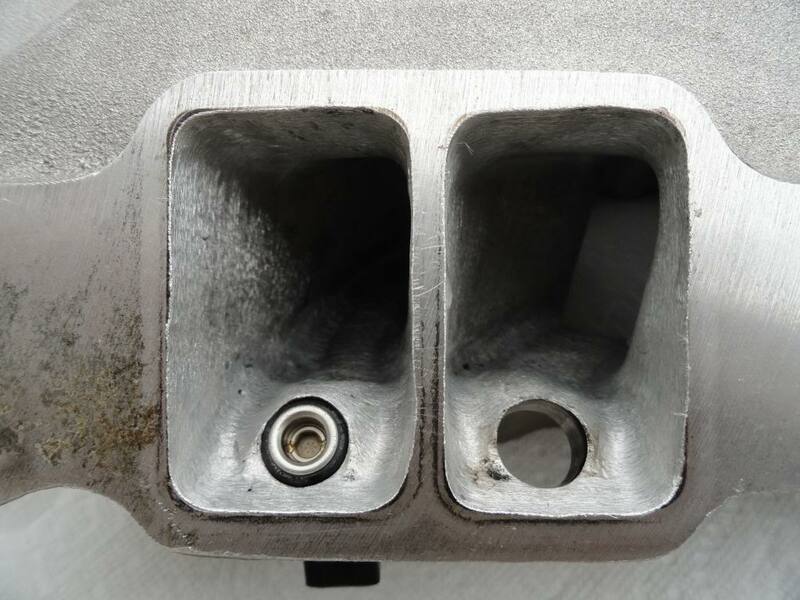 then your also ignoring the fact that once the intake flow exceeds the heads flow potential , the intake can show no significant gains past that heads flow level, significantly reducing the hp/tq numbers the intake test will show yet the intake still may have far greater potential and the fact that the larger the displacement and higher the compression the more effective the high flow intakes become! 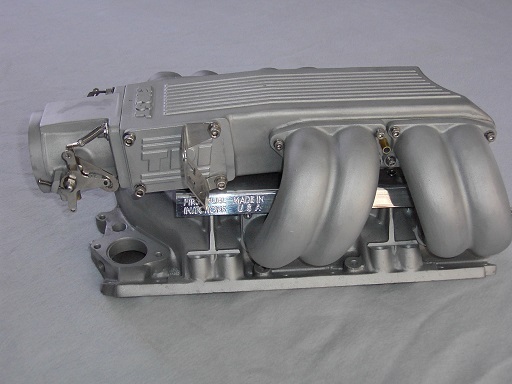 most of the current low rise 4 barrel intakes designed for street use fall in the 240cfm-260cfm range in stock out of the box form, the better single plane, intakes tend to run 20cfm or so higher, either style can be ported to increase the flow rates. 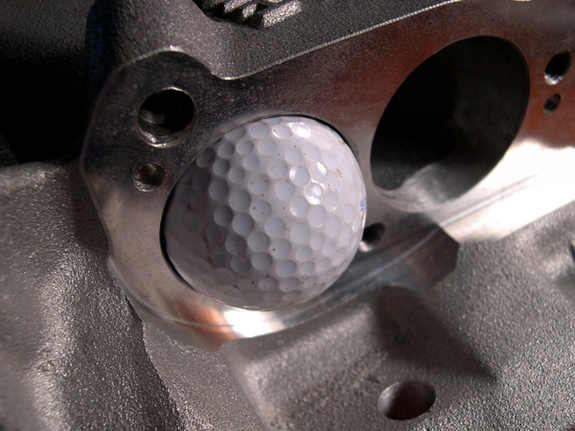 Re: just how restrictive are the stock TPI engine components? Great info Grump I just wanted to chirp in here, To get those pesky Stealth to fit under a low slung hood just cut em like this:http://www.digitalcorvettes.com/forums/showthread.php?t=59726 or this:http://forums.corvetteforum.com/c4-general-discussion/2073962-holley-stealth-ram-for-your-c4-l98-2.html ,cool article you have to be confident to cut in to your brand new $500 intake Or this guy here..http://forums.corvetteforum.com/c4-gene ... l...here's some flow #'s for the TPI and Aftermarket Intakes(i dont know if they are accurate)...http://forums.corvetteforum.com/c4-tech ... ow-s.html..
and no, I designed and tested a completely new plenum rather than cut up the old O.E.M. plenum as there were several very obvious areas that could be improved, research showed it was a good basic design but it could be improved a great deal, provided you have a mill and a tig welder and a good basic understanding of air flow and where the O.E.M. intake was restricting flow,as you saw I've got all the tools required and have tested easily a dozen or more plenum designs, theres no way to get the max potential flow characteristics from a cut and patch based on the original plenum. 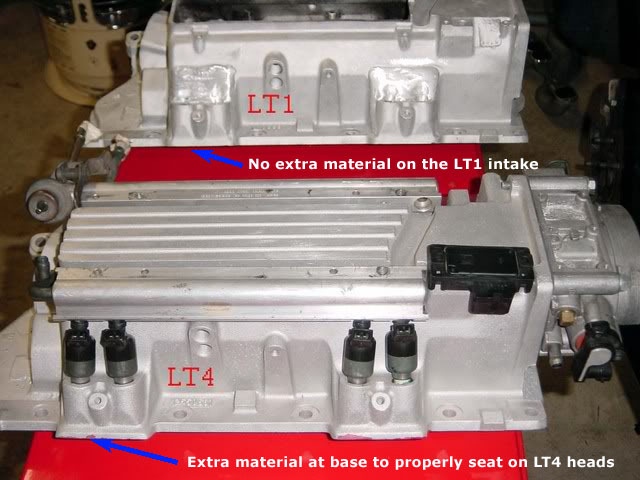 IF your thinking of installing a LT4 intake on the first generation small block chevy engine theres a few required mods that will be necessary. 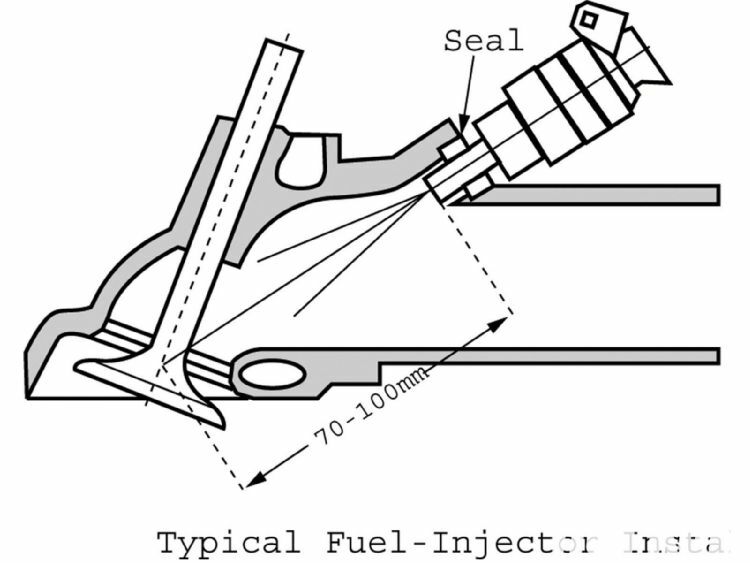 obviously you'll need a crank triggered distributor-less ignition or modifications to use a distributor,THAT FITS AND CLEARS THE INTAKE and mods to route coolant flow to the water pump and block that the current LT4 intake was not designed for but can be modified for. 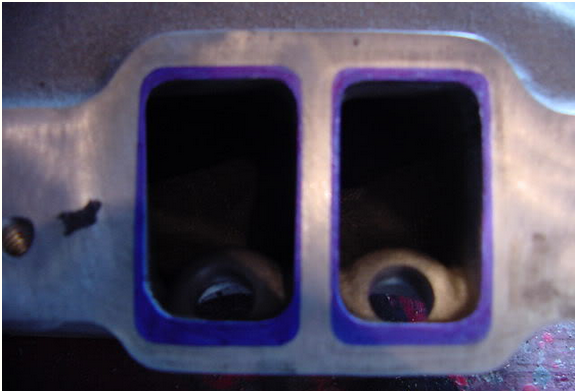 Ill try to fix the links, I meant cutting the stealth or mini ram, another good tip is to grind the front EGR port in the front of the plenum (But not to far you'll go clean through ruining the plenum) also knock the castings from the inside of runner tubes on the top of runner (The bottom lip was designed to rotate the air charge before entering the intake) Siamese and gasket match runners to plenum and intake then you can work on the heads to handle your new airflow.I prefer the stock lookin runners or stock but thats just me.